Central serous retinopathy (CSR) is caused by leakage of fluid beneath the retina. This bubble or blister of fluid beneath the macula can cause a central scotoma, minification, and blurred vision. CSR is typically seen in young males between 20 and 40 years of age and has been associated with stress and a “Type A personality”. Steroid use, pregnancy, and history of organ transplantation are also risk factors. The condition usually resolves spontaneously over weeks to several months but can be chronic. In select cases, photodynamic therapy or focal laser treatment may be used to speed up recovery. 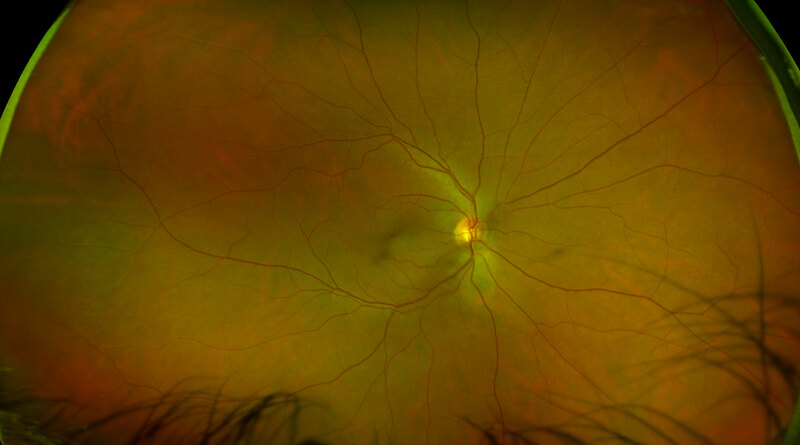 Fluorescein angiography is useful in many cases – when the diagnosis is in question, in chronic cases, and when laser treatment is considered. As shown in the example, angiography may show the classic “smokestack” leakage.